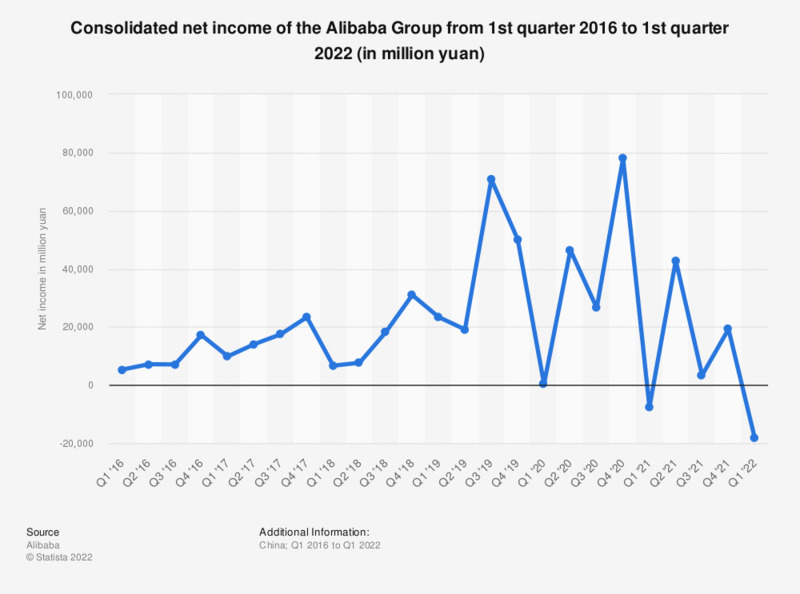 This statistic presents the consolidated Alibaba Group net income from the fourth quarter of 2012 to the fourth quarter of 2018. As of the fourth quarter of 2018, Alibaba's total net income amounted to around 30.96 billion yuan. Business segments include core commerce, cloud computing, digital media entertainment, innovation initiatives and others. Note: 1 yuan equals approximately 0.148 U.S. dollars and 0.13 euros (as of Feburary 2019).